It will never flood here? Right!! I grew up on East State St. in Union. We were about 1/2 mile from the Bourbeuse River. Flat Creek ran behind our house, you could see the creek from our back windows. I used to hit golf balls over the creek from my back yard. Nobody ever played, roamed and caught crawfish (crawdads as we called them) in Flat Creek more than I did. Kids today won’t break my time spent on the creek, they don’t know what its like to be outdoors. Flat Creek flows to the east meeting the Bourbeuse. I often waded the creek or walked along side it to the river; to fish, catching crawdads along the way for bait. After heavy rain, the Bourbeuse would often back-up flooding Flat Creek, turning it into its own temporary river. The creative neighbor boys (guys I grew up with) including myself would take old wooden garage doors, tie some tractor inner tubes on and ……we have a raft! Those were the days! When Flat Creek flooded the fishing was excellent. When the water went down, fish were trapped in areas of the creek. The water was still deep enough for them to survive, but they became prey to the gang on East State Street. Coming in from the east into Union, below the highway there is farm land that grew corn each year. I’m talking a big field of corn; this was on the right. On the left Wal-Mart had built their first store in Union, about 100-125 yards from the Bourbeuse. After heavy rain, there was always flooding in that corn field, turning it into a big lake. The Army Corp of Engineers once said it would never flood Wal-Mart, or some of the areas it does in fact now flood in Union. In 1993, a massive flood did flood Wal-Mart and the athletic fields next to it. McDonald’s restaurant in Union was built-in 1992. The flooding in the video above was from 2015. Video of Main Street (one block from where I grew up) and East State Street are shown with the flooding. The Ice Plant (owned by friends of our family and neighbor) is also seen flooded, at the end of East State St…….and East Main Street. The Army Corp of Engineers has since learned to NEVER SAY NEVER. One problem with flooding near cities, in and around communities where there is development, building of subdivisions and businesses; when concrete and pavement are added (and space is taken up) the rain water must go somewhere. It finds the creeks, as drainage is often directed to them. The more development, the greater the drainage issue. We often pay more for the cost of development than we first realize. Communities need to take that in consideration, build possible retaining ponds and lakes to relieve the rivers and creeks. It can be expensive, but needs to be part of the development. You can’t direct all your water to creeks and rivers and expect them to never flood. There needs to be more control, retaining ponds is only one answer, not the total answer, but it helps. As I write, here comes more rain! 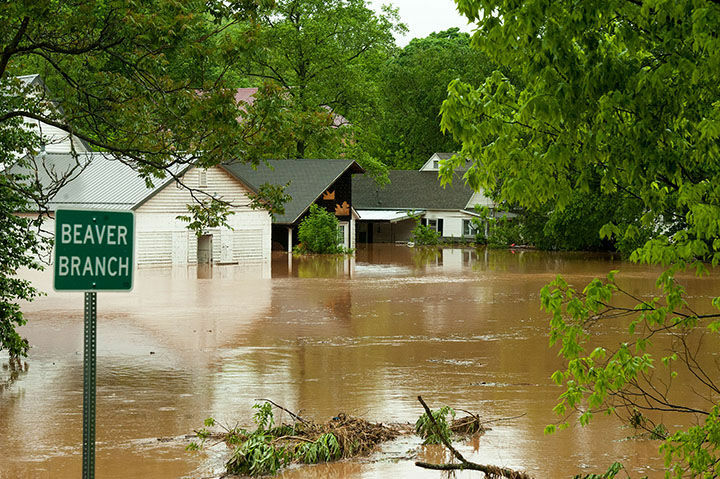 Spring’s continuous, heavy rainfall in Missouri means flooding, severe flooding. It has rained (poured in many areas) for several days, and will continue on Sunday (April 30, 2017). It looks like we may get a break on Monday and Tuesday, but then the wet stuff returns on Wednesday and Thursday. Hopefully the forecasters get it wrong. Missouri has a history of flooding throughout the entire state. With so many rivers running through Missouri, flooding is inevitable and a way of life for many. Flooding has affected almost all of us during our lives at one time or another, if not directly with friends and family. To give you an idea of the number of rivers that flow through our state here is a river map. I lived in a flood plain for several years, stayed awake during heavy rain, never got flooded, though it had in the past (before we bought the house). We sold the house then moved to higher ground. That house is no longer there…….. government bought it out, its vacant lot, or a little park now. Currently live in St. Charles/St. Peters area, just a few minutes from the Missouri River. Went to Hollywood Casino tonight; right near the Missouri River, crossed a couple of bridges to get there, the river is up and rising. At this moment there are areas experiencing flooding, other areas they know its coming in the next day or two………roads and highways (interstates included) are closing. Property will be damaged, repairable for the most part; but lives will be lost…. We’ll survive, we always do! When it came to push and shove, Obama was like a beaten, abused little puppy all curled up. Leave Kim Jong-un and North Korea alone; they’ll blow themselves up. It blew my mind a couple of months ago when I learned my two oldest grandchildren didn’t know how to write cursive! They were not taught cursive in school. They are 13 and 11 years of age. I was learning cursive in first grade. I never gave this much thought until recently there was a local news story asking if they should teach cursive in school again. Again, it blows my mind they don’t. It doesn’t matter that letters are going to be typed on the computer or high tech type writer. I use the computer a lot……there are times I still need to write. There are still papers, documents etc. that need a signature! I prefer a cursive signature, not only is it faster it looks better. Its your signature, its like a thumb print. My point, if they stopped teaching cursive writing, what else have they stopped teaching? 1005 truth to this article……..not just an opinion but fact! 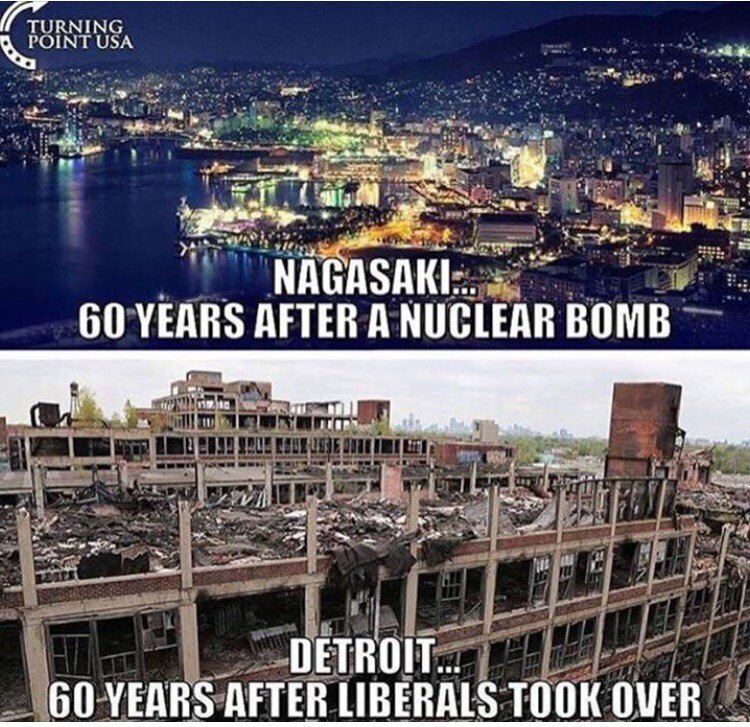 THE LIBERAL BOMBS OF DESTRUCTION: IN A CITY NEAR YOU?